121 SW Saratago Avenue is a four (4) bedroom, three (3) bathroom home, located in Paar Estates in Port Saint Lucie. This home not only has a master bedroom, but a junior suite as well. The cabana bath leads out to the large, screened in patio. 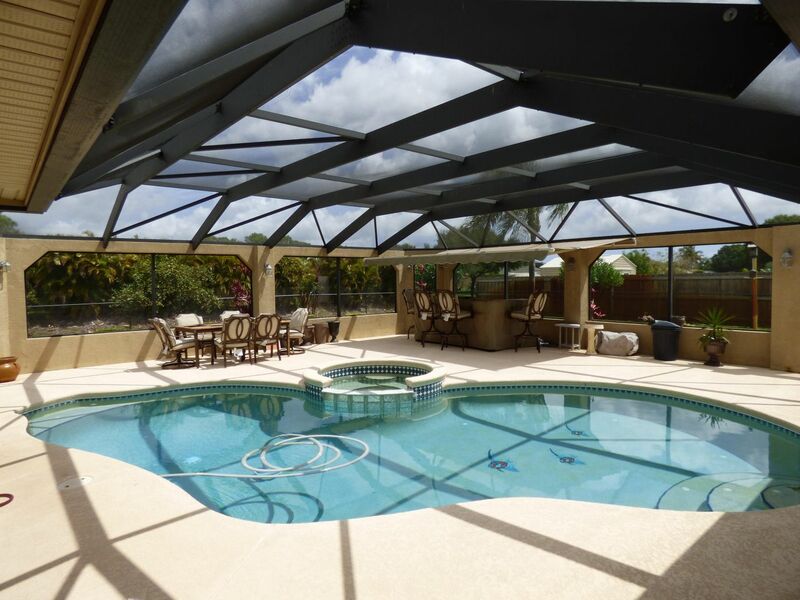 Enjoy lounging in the Florida sun in the gas heated pool and spa. Entertain company at the pool bar or in the large backyard. Additionally, this home has a new roof, a/c system, and water heater. Book a viewing to see this non-HOA home today!